Two Days ago we came back home from our wonderful 3 week trip to Eastern Canada, besides the stunning landscape and the open-hearted people we met, we tasted lot of delicious things (Maple Sirup, Chocolatines, Lobster, Beer from regional breweries and Homemade Raspberry Lemonade). After an hour of hiking around the confluence of the Saint Lawrence and Saguenay river and 1 hour of watching belugas we were looking for something to eat. Locals recommended us the “Le Café Bohème” (should you ever be in Tadoussac, just go there) where we had a very good pizza with salad and a truly remarkable Homemade Raspberry Lemonade. It was delicious! 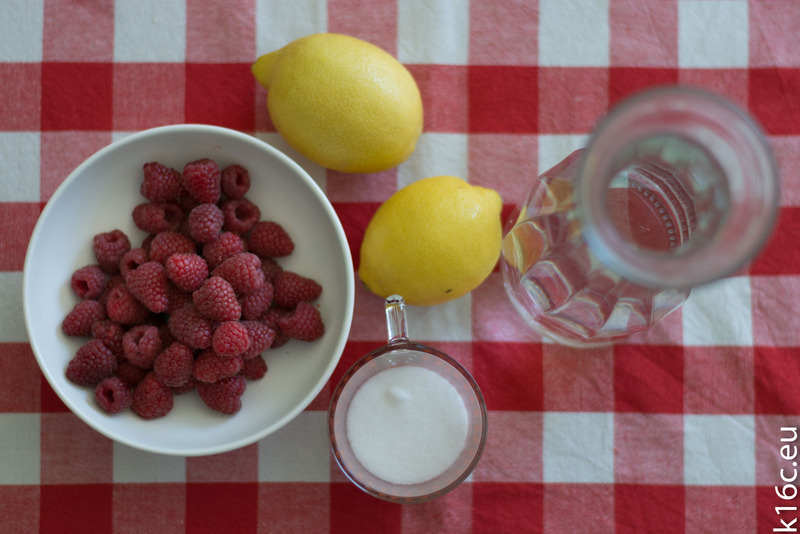 The sourness from the lemons complemented the taste and the sweetness of the raspberries perfectly. Back home the heat (a whopping 32°C in the shadow) is hitting us very hard – but we remembered the delicious and refreshing lemonade! Thus we made our own Homemade Raspberry Lemonade. And of course we are sharing our recipe with you.